We are profound manufacturer and supplier of Glass that are compact and efficient, combining safety and ease of use with performance, functionality and reliability. Bottle Crusher are used throughout the hospitality sector from Nightclubs to Bars to Hotels & Restaurants or any recycling operation. To save space, time and money the Incinerator Bottle Crusher is the solution. 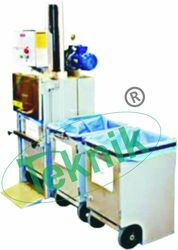 We offer economical Glass Crusher to our customers. This is manufactured using quality components. To supply only, manually fed, light diesel fuel, domestic incinerator with a capacity of not less than 600 kW capable of burning solid waste & sludge simultaneously, complete with automatic burner, flue gas pipe expansion compensator, pre-fabricated flue gas duct, motorized flue gas damper, ID fan & drive, free standing stub chimney etc. These products reduce the bottles to 20% their original size to glass grains with out any sharp edges. Complete with motor control center & all safeties. Daily service tank: 400 Lt.
We are manufacturer, supplier and exporter of a wide range of Glass Waste Crusher which are compact and efficient, combining safety and ease of use with performance, functionality and reliability. Glass Crushers are used throughout the hospitality sector from Nightclubs to Bars to Hotels & Restaurants or any recycling operation. 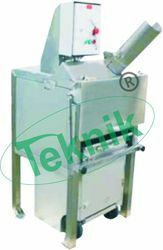 To save space, time and money the Glass Crusher is the solution. Looking for Glass Crusher ?